Footage from 10 body cameras was reviewed said TPD Chief Michael DeLeo, report the Tallahassee Democrat. 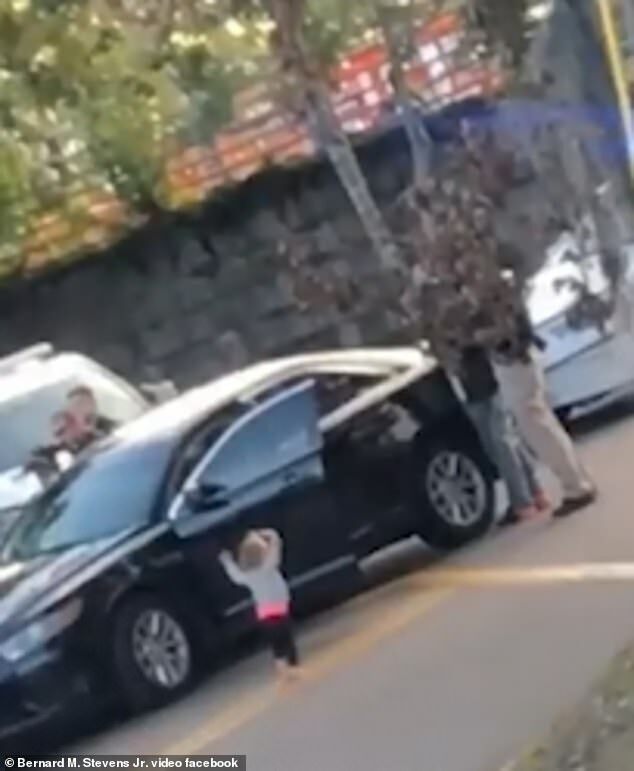 He said officers were surprised when the little girl popped out of the truck and approached them and ask their detainee are there any other adults in the car. A second video shows the mother retrieving the second child from the truck. 'The body camera footage shows the officers' concern for the children and their compassion as they permitted the mother to care for the children,' DeLeo said.